I would like to introduce the author of this blog, Dr. Joop Loomans, my friend and one of my partners in Oculus Insights. Joop has led the international expansion of Oculus Insights into Europe, Australia and China so he has a unique perspective on the global veterinary profession. Here is his analysis of the profession in the European Union. You can find out more about Joop here. The European Union is often criticized for its bureaucracy and slow responses to things happening in “the real world”. However, it does often also result in good cooperation between professions in different member states and produces useful reports. 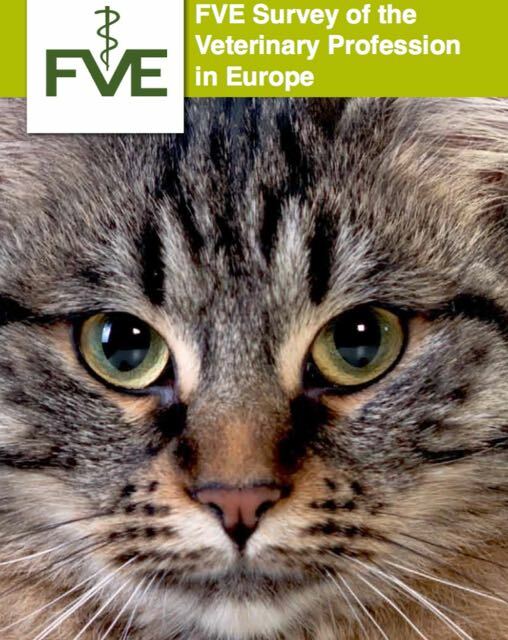 FVE, the Federation of Veterinarians of Europe, produced a very interesting survey in April 2015 on recent demographics, labor market and financial indicators between European Countries. In Europe 243.000 Veterinarians take care of 157 million companion animals and 342 million farm animals. The survey response involved 13.000 veterinarians from 24 participating countries representing 8 percent of all veterinarians. Veterinary medicine in Europe is a young profession since 44% of the veterinarians are under 40. There is a near balance of male and female veterinarians changing rapidly to a female dominated profession given the high percentages of female students at the vet schools. 17% are working part-time and 21% have at least two different jobs, usually both within the Veterinary profession. Reported unemployment on average is 3% but can be as high as 31% in some countries/regions. In general vets are satisfied with their choice of career but only just satisfied with their earnings. Female veterinarians earn 28% less compared to their male colleagues. It is estimated that the total revenue of all the veterinary practices in these 24 countries is 11,000,000,000. 50% of these revenues come from clinical work, 20% from surgery, 13% from sales of medication and 6% from sales of food. 25% of the veterinary practices are one vet practices, 20% two vet practices. The average revenue for a practice with between 3 – 5 staff is € 312.000 and for 6 – 10 staff practices € 800.00. Veterinarians feel confident about their prospects and 34% expect their practice to grow in the next 3 years, while 61% say they had an increase in their practice growth the last 3 years. It is believed that more veterinarians will be needed in the future in areas of welfare, disease control, and environment and to meet the growing demand from companion animal owners. To meet future challenges veterinarians think they need to be able to specialize more and they need more business training. Veterinarians are not prepared for retirement. There is a wealth of knowledge available through this great research. Food for thought, not only for our leaders but also for us as veterinary students, interns, associates, partners, practice owners etc. Personally, it is a wakeup call and proof that there is a big demand for business education in the wider sense for our veterinary profession. Young and old vets have to find each other in a business model that takes care of the retirement plan of the practice owner (and have this plan in place the moment you enter a practice as a partner) but that is also affordable for the incoming new partner. Currently, Corporate Equity funds in Europe are buying numerous practices to take advantage of the tide change that’s going on and the lack of business skills of close to retirement practice owners and young veterinary professionals. It is a blessing (in disguise) when you have no retirement plan, young vets do not want to buy into your practice and a company wants to buy you out. One could wonder if this is the perfect solution for our profession. What is the engagement level of owners who have sold their part in the practice, but have to stay in their practice for a few more years to keep the practice running but mentally already retired? How do you get young and bright veterinarians engaged in a practice that’s not their own, and how does a veterinary practice thrive when they are owned by a company that only wants return on their investment. How would this look if we would invest in our own business skills and stay in charge ourselves, combining our excellent practical skills as veterinarians with business insights? Oculus-Insights is ready to help!